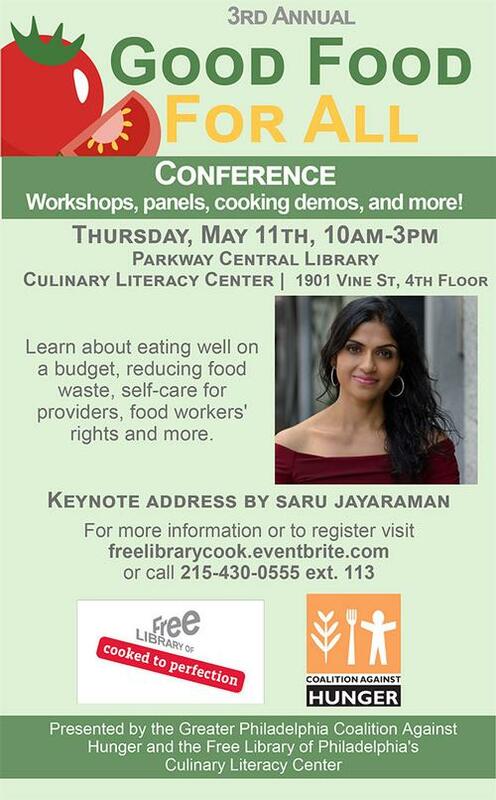 As we gear up for the 3rd Annual Good Food for All Conference with the Greater Philadelphia Coalition Against Hunger on May 11 at the Parkway Central Library, the Culinary Literacy Center wants to know – what does hunger look like to you? Enduring images of anonymous people in line at the soup kitchen are certainly indelibly linked to poverty in America. How do we put a face on poverty? 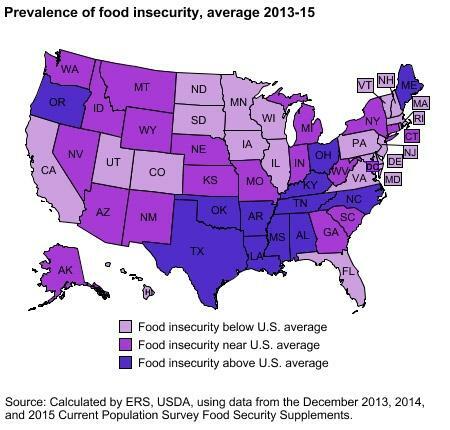 With 1 in 5 Philadelphians considered at risk for hunger, chances are you or someone you know lives on the spectrum of food insecurity. How do we get beyond the stigma and shame of hunger? David Zucchino’s Myth of the Welfare Queen is just one of many texts we have here at the Free Library that examines the social fabric of Philadelphia and what it can mean to come up against barriers to food access and other human rights. But you don’t have to take our word for it—college students, restaurant workers, and community leaders are just some of the many Philadelphians who have found themselves in need of safety nets that food pantries, community gardens, and soup kitchens can provide. Listen to the experiences of your friends, family, and community. Tell your own story. The keynote address will be delivered by Saru Jayaraman, the Co-Founder and Co-Director of the Restaurant Opportunities Centers United (ROC United) and Director of the Food Labor Research Center at University of California, Berkeley. After 9/11, together with displaced World Trade Center workers, Jayaraman co-founded ROC, which now has more than 18,000 worker members, 200 employer partners, and several thousand consumer members in a dozen states nationwide. Saru is a graduate of Yale Law School and the Harvard Kennedy School of Government. 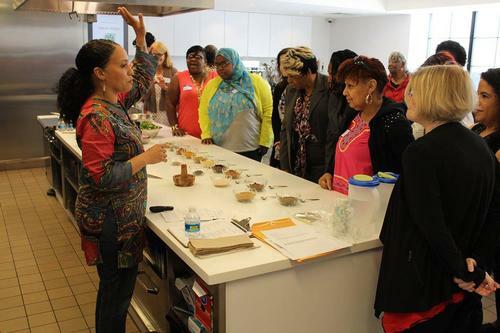 She was listed in CNN’s "Top 10 Visionary Women" and recognized as a Champion of Change by the White House in 2014, as well as a James Beard Foundation Leadership Award in 2015. Saru authored Behind the Kitchen Door, a national bestseller, and most recently Forked: A New Standard for American Dining. 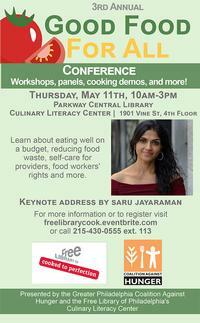 Gear up for the 3rd Annual Good Food for All Conference! Add a Comment to Good Food for All: What Does Hunger Look Like To You?